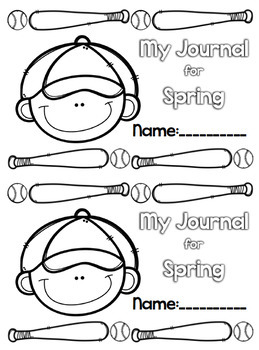 -nine cute journal covers: spring, baseball-themed, spring-themed march, Saint Patrick’s Day-themed March, Easter-themed April, spring-themed April, Earth Day themed April, Mother’s Day-themed May, and spring-themed May. -writing and drawing pages: Full page regular-lines, full page dotted-lines, full page blank drawing, half writing/half drawing regular lines, and half writing/half drawing dotted lines. Includes three varieties of spring themed paper, St. Patrick themed paper, Easter themed paper, baseball themed paper, and Earth Day themed paper. 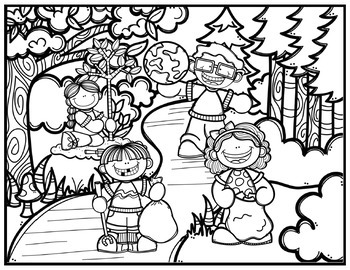 -four picture/word ideas pages: Spring, March, April, and May. 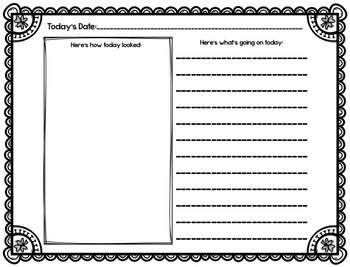 Perfect for writing practice in grades Kindergarten, 1st, 2nd or 3rd. 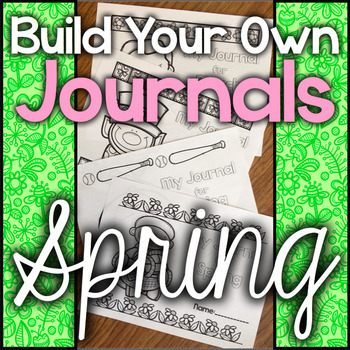 Build the perfect spring writing journals for your classroom! Check out all the journal options below!